We have another lovely lift to share with you today. 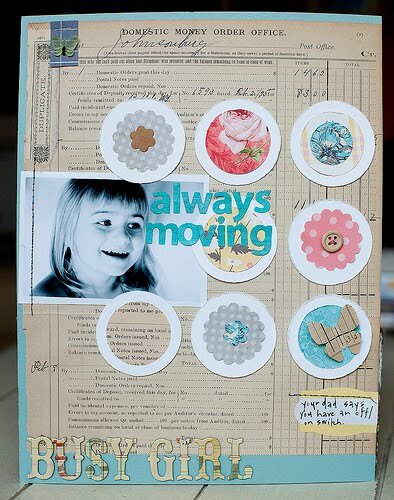 This one is by Becky Novacek who was inspired by "Love You" by Danielle Flanders. 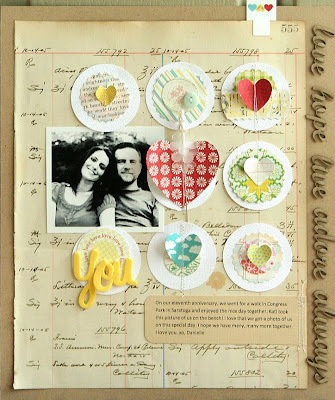 Becky writes, "I have admired Danielle's layout of her and her husband for a while, so I couldn't resist scraplifting it for this! Here are my thoughts on scraplifting...(not that you asked : ): I think it can be a wonderful thing, when credit is given and no profit is gained by the lifter. I love it when someone lifts me and gives me credit." Thanks for the inspiration Becky (and Danielle)! Thanks for choosing me, Becky! Love your page!